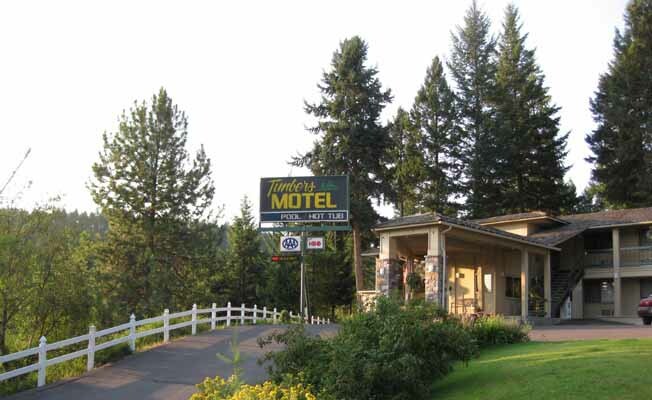 We invite you to visit Timbers Motel, nestled comfortably in a vacation paradise. Enjoy being part of the action or kick back and delight in the beauty of Mother Nature. Just a few minutes away from Timbers Motel you can enjoy water sports on Flathead Lake, golfing at Eagle Bend Golf Course or one of many activities such as hiking and fishing in the mountain wilderness. Experience a spectacular day trip to Glacier National Park with breathtaking views of one of Montana's most pristine treasures. A leisurely walk to the quaint village of Bigfork offers unique shops, fine dining, art galleries featuring Montana artists and the Playhouse Theater. Timbers is open May through October with 40 deluxe rooms featuring king and queen size beds, cable TV, free local calls, free wireless internet, in-room coffee, hair dryers and a continental breakfast. A hot tub and sauna are available. Enjoy our beautiful view of the Rocky Mountains from our local area. Reduced rates are available in the off season. Visit us on our website, http://www.timbersmotel.com and be our guests at Timbers Motel. Come share with us Montana's Big Sky.